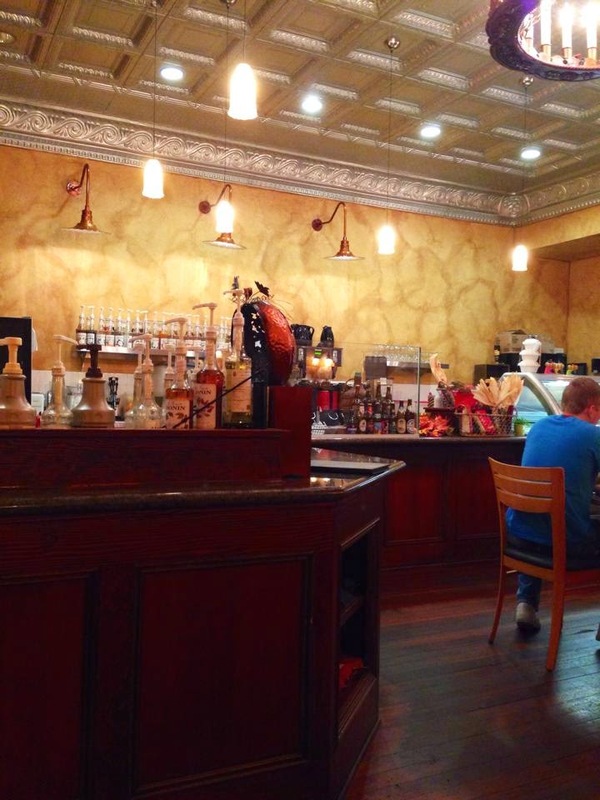 I recently went to one of my favorite restaurants near Chapman: Cafe Lucca. 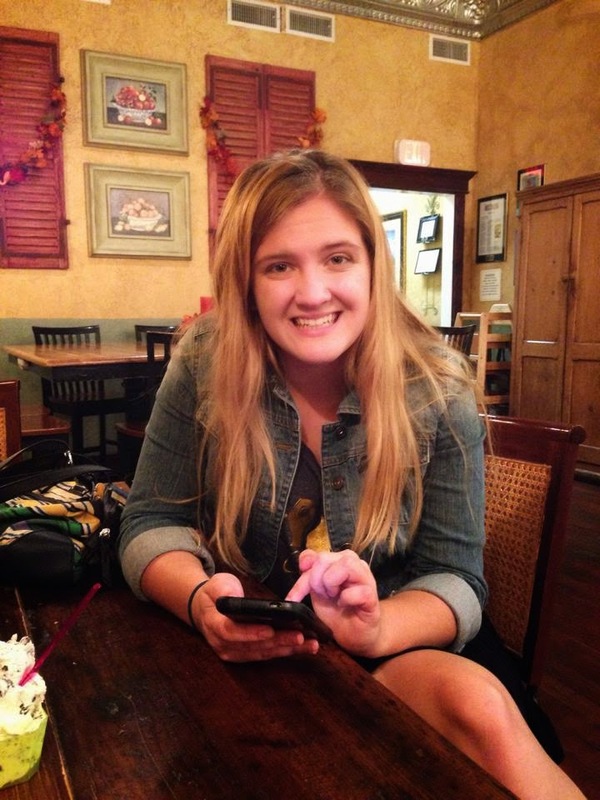 Last year I won a gift certificate there from a costume contest with the university's Italian club, and I realized that I hadn't spent all of it yet! 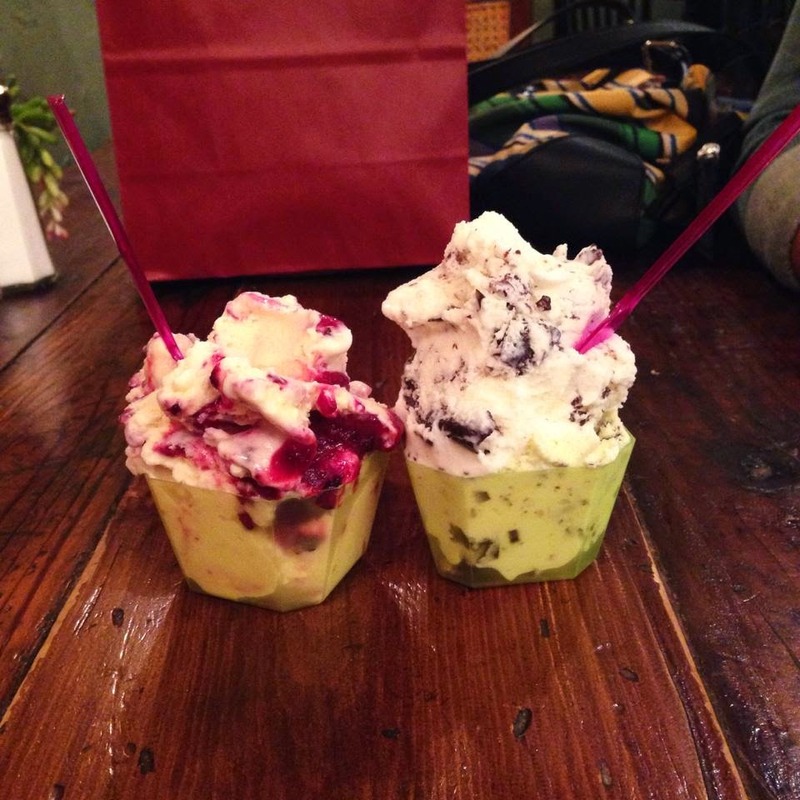 So my friend Steph and I went over to get some of their famous gelato after classes. 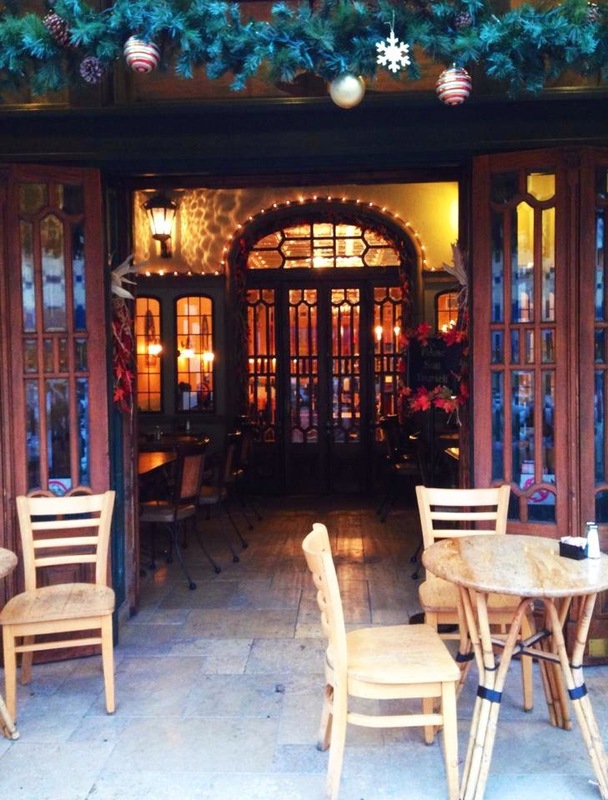 My favorite thing about Cafe Lucca (besides the food, obviously) is their entryway. The doors are so elegant and inviting, and it just looks even better with the holiday decor set up! Also take a look at that ceiling! All the little stores here in orange are pretty old, so they all have these little details that I just love. 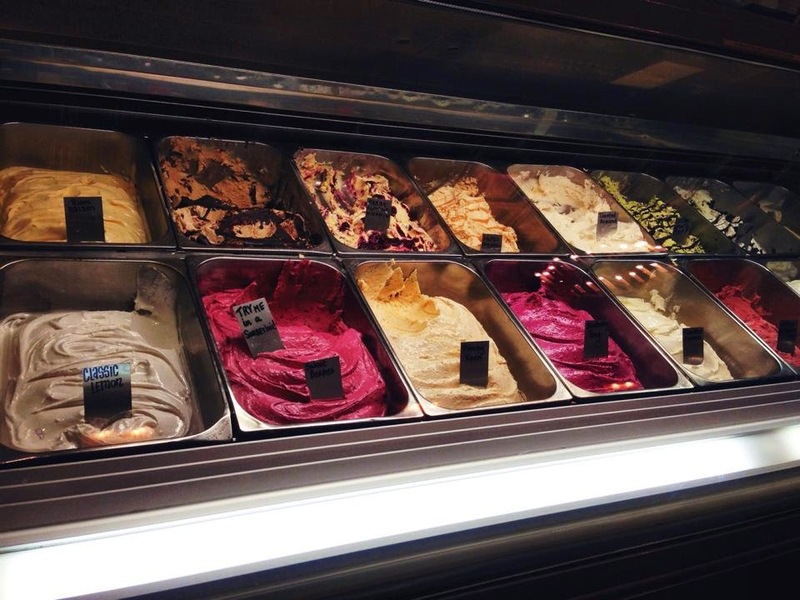 Just look at all that gelato, oh my god it was the hardest decision of my life choosing which one to get. The picture doesn't even show all the options there were!! You also have unlimited tasting options (or maybe you don't, but I'm pretty sure one time I sampled like six of them...), and although you really can't go wrong with any flavor, this just helps ensure you'll get one you'll enjoy. I ended up getting the Berry Almond Muffin flavor (left) and Steph (pictured above the gelato) got the Stracciatella (essentially italian chocolate chip) flavor. I loved mine and Steph seemed pretty happy with hers too. Believe it or not, we each got the smallest size, could you imagine what the large size would be? !